Heavy rains lashed Mumbai on Tuesday afternoon, and the meteorological department claimed the wet weather will continue for the next 24 hours. Media reports said fears of waterlogging and traffic snarls loom large over the city following the afternoon showers, barely weeks after the 29 August floods wreaked havoc in the island city. 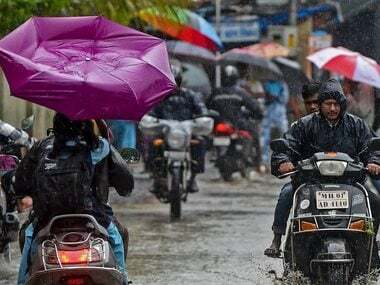 The India Meteorological Department (IMD) reported on Tuesday that heavy to very heavy rainfall is likely to occur at a few places in the state, with extremely heavy rainfall at isolated towns in the districts of Raigad in north Konkan and Ratnagiri and Sindhudurg in south Konkan. The meteorological department also said heavy to very heavy rainfall is likely to occur at isolated places in the districts of Kolhapur and Satara. 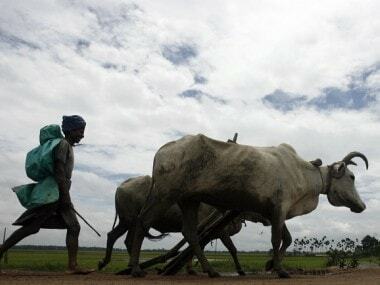 Parts of Mumbai and certain districts of Vidarbha are also likely to receive heavy rain. However, Sunil Udasi, CPRO of Central Railway said,"All trains are running normally on Central Railway (except in some cases of 5 or 7 minutes delay). Please don't go by rumours being circulated on whatsapp or other social media." Meanwhile, flight operations were stopped at Chhatrapati Shivaji Airport from 6:49 pm as visibility dropped to 25 metres with four flights being diverted, the airport PRO said. The operations were resumed at 7:16 pm. Several parts of the city, including South Mumbai, Borivali, Kandivili, Andheri and Bhandup, received heavy rainfall. Till 7 pm, the BMC Disaster Control said the western suburbs received 92.21 mm rains, eastern suburbs recorded 62.45 mm and south Mumbai notched 58.74 mm rainfall. However, no untoward incident has been reported so far from any part of the city, said an official attached with the Disaster Management Cell of the Brihanmumbai Municipal Corporation (BMC). He said the civic administration and other agencies have geared up to tackle any eventuality arising out of the rains. 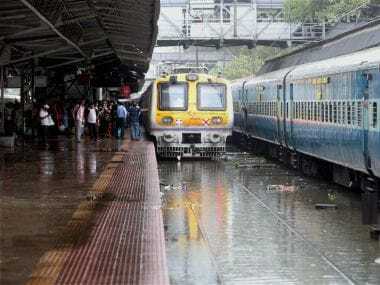 Both road and train traffic, including the suburban rail network, remain unaffected by the downpour, the official added. As per information received from the Colaba observatory, the north Konkan region of Maharashtra, including Mumbai and its neighbouring areas, is expected to receive more rains. "Some places are expected to receive heavy showers. Therefore, we have alerted citizens to take precaution," he said. According to Skymetweather, rains are expected to continue for a few more hours on Tuesday evening before subsiding. Thunderclouds which were hovering over the Arabian Sea have drifted over the island city, it said, and will cause showers followed by gusty winds in many parts of the city for the next couple of days. A few places in Mumbai may even receive very heavy spells of rain which may also cause traffic snarls and waterlogging. However, the weather bureau did also say the rains will subside by evening and are likely to reduce further by Wednesday morning, and it won't cause the kind of large-scale chaos that came with the 29 August floods. Since the 29 August floods, in fact, the city has enjoyed pleasant weather. 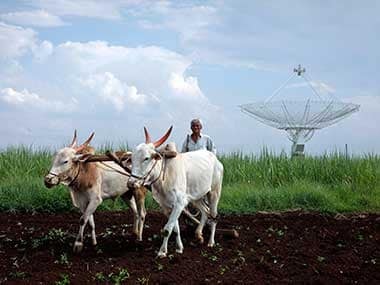 Even in the last 24 hours, patchy showers were recorded by the Colaba observatory while the Santa Cruz observatory failed to record any traces of rain. Several low lying areas in central Mumbai like Parel, Dadar and some areas of the suburbs like Chembur, Kurla, Andheri, Malad, Borivali, Dahisar experienced waterlogging, slowing down the home-bound traffic, but there was no dislocation on the roads and highways. In the Konkan region, many towns and villages in Sindhudurg, Ratnagiri and Palghar districts experienced waterlogging, disrupting normal life. In Papdi village of Palghar, hundreds of students were stranded when three schoolbuses carrying them home were stranded due to waterlogging and police and fire brigade were engaged in rescue efforts. In Ratnagiri, five fishing boats sunk in the Arabian Sea near Harnai Anjarle coast in the district this morning, police said. Of the total 29 fishermen on these boats, 26 swam to safety while three are still untraceable, they said. "It has been raining heavily since Monday in the district. Despite the heavy rains, these five boats ventured into the sea for fishing and sunk after travelling a distance," police said. 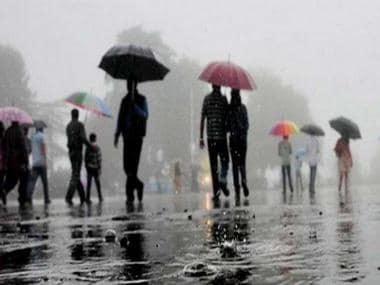 Goa, which has been witnessing torrential rain since Sunday, is likely to receive "heavy to very heavy" rainfall at certain places in the next three days, according to the Met department. Locals and tourists have also been warned against venturing out into the sea until 21 September. The state government has warned people against venturing into rivers, saying that water levels might rise suddenly due to heavy precipitation in their catchment areas. Meanwhile, a spokesman of Drishti Lifesaving Services, an agency responsible for security along beaches in the state, has issued an advisory asking tourists to not enter the water. "In the wake of the Met warning, the Drishti Lifesaving has asked locals and tourists not to venture into the sea or indulge in water sports of any kind over the next 96 hours, as the weather and sea conditions are expected to be rough, and heavy showers are expected to continue," he said. Drishti's 600-strong lifeguard force mans beaches in Goa throughout the year. "Owing to the prevailing weather conditions, red flags have been posted on all beaches indicating that these are strictly non-swim zones. It's advisable to steer clear of the high tide line in such circumstances. Even wading into the sea can be risky," the spokesman said. It is a routine practice for the state government to ban swimming and all water sports near beaches during the monsoon months from June to September, as the sea becomes extremely rough and choppy. "Due to incessant rains, all the dams in Goa, especially Selaulim, Anjunem , Amthane and Panchwadi, are full and excess water is released in the rivers downstream. The public is hereby cautioned by the water resources department not to venture into rivers, especially downstream of the dams as a sudden rise in the water level due to heavy precipitation in the catchment area is possible," the minister said in a release.